Opened from 400 years ago. but based on another story it is said that it has already opened from 1200years ago. The hot spring was famous as a hidden hot spring for Takeda Shingen in the Sengoku period. In Taisho and Meiji area, many litterateurs used it as a rehealing place. During war, it was used to healing soldier`s wound. There was also onsen pool that olypic athletes used to practise in summer. 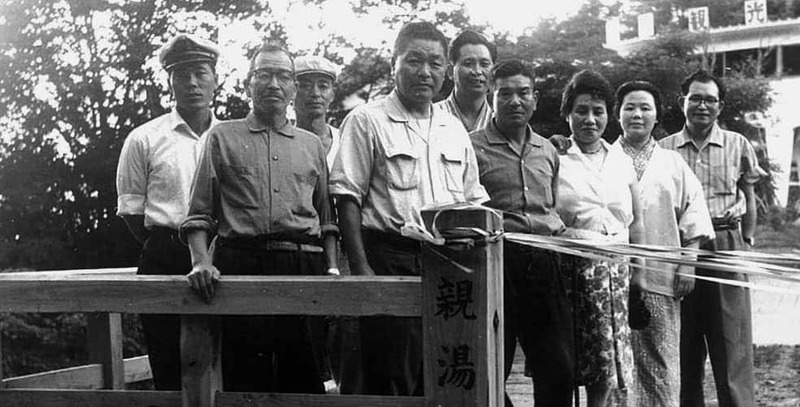 as you can see, Shinyu Onsen has a long listory and was loved by many people. We will now give you more details about our history. Tateshina Shinyu Onsen 100th anniversary project count down start! In Sengoku period, Takeda Shingen with his soldier who got wound was using this onsen and it became popularly known as a healing onsen. 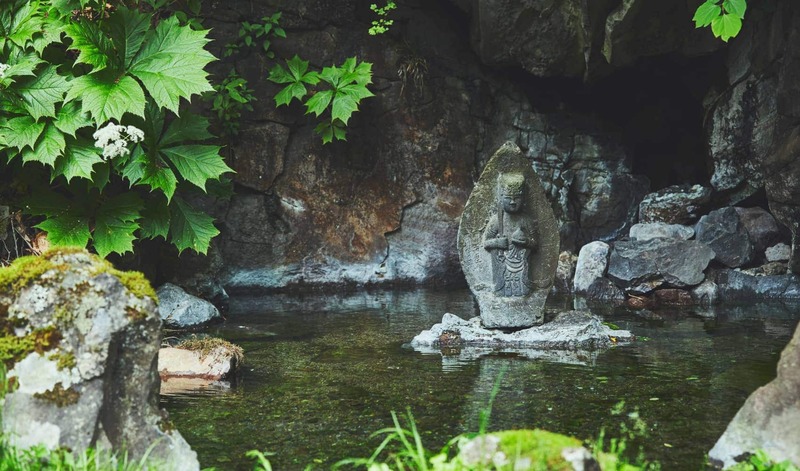 The spring was found by Sakanoue no Tamuramaro, a shogun in early Heian period. So many historical story about Takeda Shingen in this area, including Shigen Boumichi, or big waterfall, ootaki, where Takeda Shingen used as a place to think a strategy by standing under the waterfall. 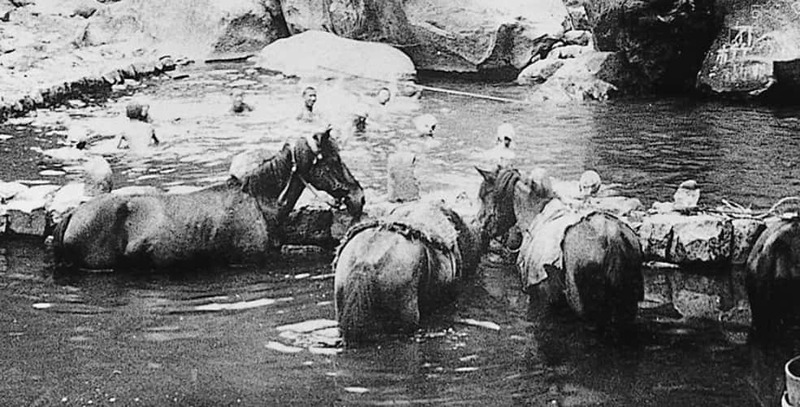 in the past, people were having journey with horse and together they were enjoying the spring. afterwards, they had their party and went back again with the horse. 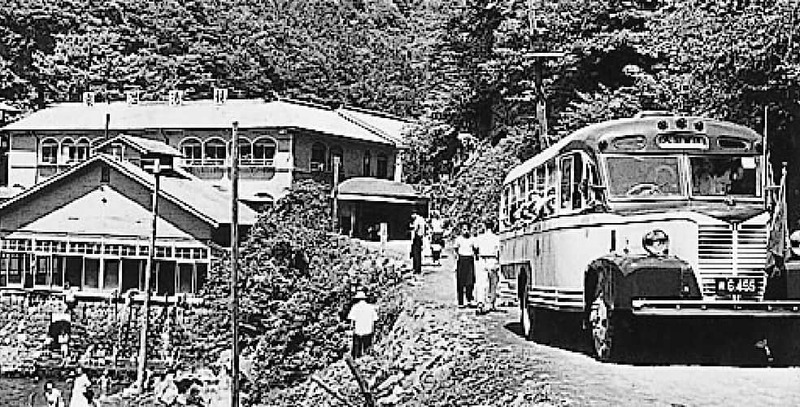 from Taishou period to Meiji, highland areas that has a clean air and also beautiful nature giving new business opportunity, not only as a health center but also as a resort by making a villa. 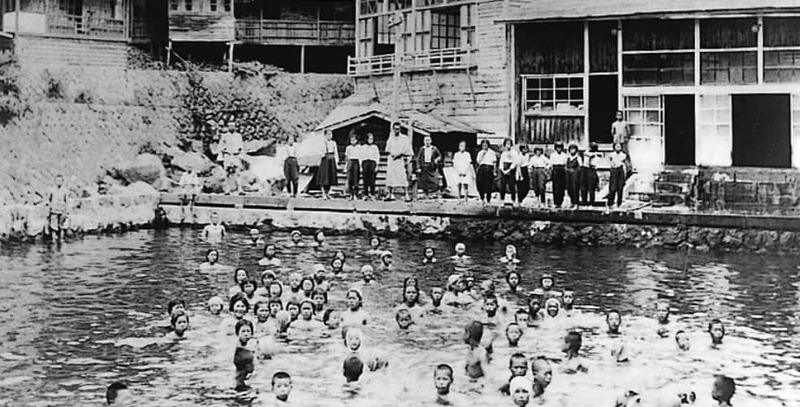 The Onsen Pool was famous since it was quite unique around end of world war and traffic jam often occurred. Many athletics also used this pool as training place. as for now, the pool was gone but the memory and atmoshpere together with beautiful nature still attracted many tourist. Tateshina Onsen is used to describe 6 onsen ryokan (hotel) which is, Shinyu, Takinoyu, Kosai no yu, Biyoukan, Tateshina Kougen Hotel, and Sashikaku. 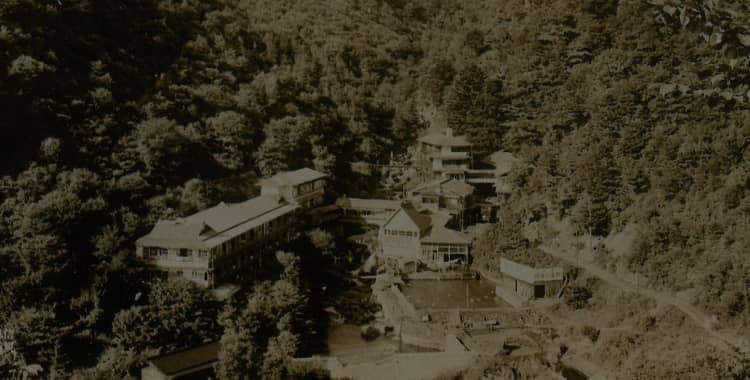 It was registered and now is working together as Tateshina Onsen Ryokan organizations.